Since 1990 Yankee Pest Control has been a well known pest management company with an impeccable reputation and highly trained team members. Our technicians service the largest malls, reputable Hospitals, and premier Hotels Massachusetts has to offer. We provide the most experienced Bed Bug technicians the industry has to offer for your home or business. With our Temp Air heat equipment, we are able to handle the largest facilities from Boston to Manchester to New Bedford. Miss Layla is our on staff NESDCA certified scent detection K-9. She has been working for 6 years all over New England. Keep your family safe in your own back yard from the nuisance and risk of disease carrying insects. Backed with a year long warranty enjoy the protection of our comprehensive residential programs. Let us customize your commercial pest management program. Choose from the largest tool box for bed bug control the industry has to offer. Don't fall victim to to the most destructive wood destroying insect in the country. Why Choose Yankee Pest Control? Spearheading ingenuity and a great deal of risk we have become the state’s largest provider of Heat service for bed bug control and K-9 scent detection. Miss Layla, our on staff scent detection dog has been recognized on Ch. 5’s Chronicle, NECN news, and countless print work from the Portland Maine Press to the Lynn Daily Item to the Boston Globe. She has the ability to locate as few as one live bug or one viable egg. Her nose, knows exactly where these bedbugs and their eggs are hiding out in your Boston residence or business. Founded in 1990, Yankee Pest Control boasts decades of professional service attributed to our team’s dedication to customer satisfaction. As a family owned business in Boston’s backyard we live, work, and play in the same schools, restaurants, hotels, and neighborhoods as your family. 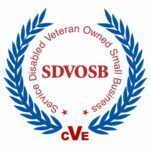 Not only are we family owned, but we are certified with the Center for Veteran Enterprises as a Service-Disabled Veteran-Owned Small Business. Just as we are proud to have served our country, we are proud to serve our communities through residential, commercial, and federal pest management programs. Maintaining our certification as a Quality Pro registered company we follow the industry’s most comprehensive training, testing, safety, consumer relations standards, and environmental stewardship.